Polyploidy resulting from whole genome duplication is common in plants and is increasingly being recognised as a critical factor in conservation actions, particularly when within-species variation in ploidy exists. Pomaderris (Rhamnaceae), a genus of 70 species endemic to Australia and New Zealand, has many species listed as threatened and that are subject to conservation management but of unknown ploidy. To provide a better understanding of polyploidy in the genus we sampled 36 of 70 species of Pomaderris and used flow cytometry to establish genome sizes and infer ploidy. Additionally, to examine within-species variation, we screened 104 individuals of eight rare species subject to conservation management. 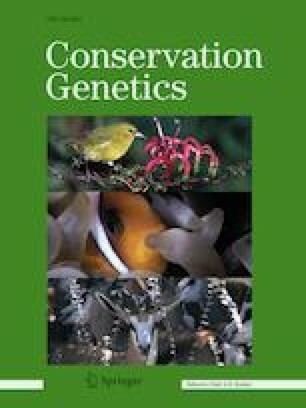 We did not find evidence for infraspecific variation in ploidy, suggesting that from a cytological perspective, conspecific individuals from the screened populations do not need to be kept geographically separated in conservation management. There is, however, considerable variation among species, with genome sizes suggesting the occurrence of diploidy, triploidy, tetraploidy and hexaploidy. Finding several species to be triploid but capable of seed production, we then explored reproductive biology using the flow cytometric seed screen. Results suggested that triploid species produce seeds asexually, as previously reported for two New Zealand congeners. While asexual reproduction through apomixis is generally a means of odd-ploid taxa overcoming sterility, we found that more than half of examined diploids and tetraploids also produced seeds asexually. Asexual reproduction means genetic diversity is potentially low, and these results should therefore be considered in future conservation actions and seed sampling designs. The online version of this article ( https://doi.org/10.1007/s10592-019-01184-2) contains supplementary material, which is available to authorized users. We thank the many colleagues who collected Pomaderris vouchers, cuttings and seeds across south-eastern Australia, maintained living collections, and made collections available for this research: the Australian National Botanic Gardens nursery and National Seed Bank; the Wollongong Botanic Garden; PlantBank and The Royal Botanic Gardens & Domain Trust; Francis Nge and Mark Ooi. We thank David Marshall and Mark Wallace for assistance and advice in developing flow cytometry protocols for Pomaderris. Dave Albrecht, Jo Palmer and Neville Walsh kindly confirmed identifications of voucher specimens. Constructive comments by three anonymous reviewers helped us to improve a previous version of the manuscript. The work has been assisted by the New South Wales Government through its Environmental Trust and is part of a project (2015 RD 004) lead by David Taylor in collaboration with the Australian National Botanic Gardens, The Australian Botanic Garden Mount Annan, Wollongong Botanic Garden, Eurobodalla Regional Botanic Garden, Booderee National Park, the NSW Office of Environment and Heritage, the ACT Government and the University of New South Wales. The research was also supported by a CSIRO Undergraduate Research Scholarship awarded to S.H.C.